Are you ready to experience some of the best cycling in North America? 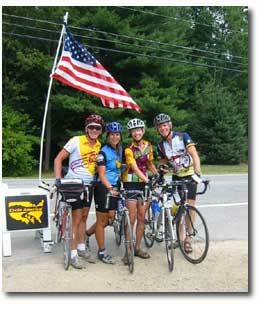 Cyclists from across the nation  and around the world  come together for one, two or more weeks of fun and great riding. We're cycling Coast-to-Coast in 2018 and continuing the ever-popular Cross-State Tours. 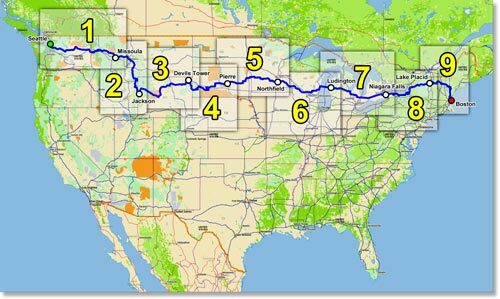 Cycle America's unique Coast-to-Coast tour is divided into nine Cross-State segments that make it possible to cycle a week or more, or ride all the segments for the complete Coast-to-Coast experience. Each state offers unique history and beauty, from the lush mountains and forests of the West, across the grasslands of the Great Plains, to the farms of the Great Lake states and the quaint towns of New England. We would like to invite you to come along and enjoy the phenomenal views, the great camaraderie and the many picture-perfect moments you'll experience with Cycle America. Whether you ride one segment or several, or complete the entire Cross Country bicycle adventure, it's the achievement of a dream and a new year celebration. Coast-to-Coast kid's camp for adults!